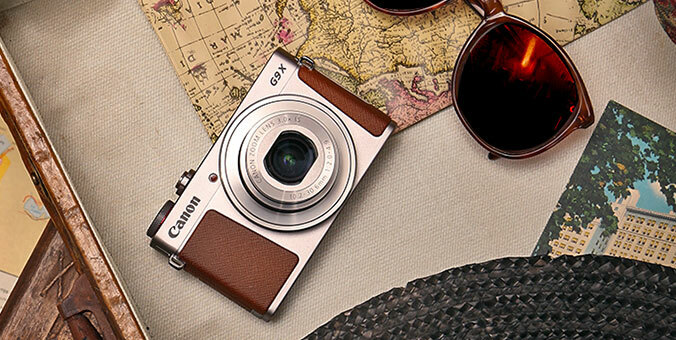 Simple and stylish, this chic compact camera is packed with advancements that make it easy to get a great shot every time. Smart AUTO recognizes 32 predefined shooting situations, then automatically picks the proper camera settings for you. Saving memories in breathtakingly realistic 720p HD is as easy as pressing the dedicated movie button. You'll see extraordinary resolution and fast performance with the 16.0 Megapixel Image Sensor and DIGIC 4 Image Processor, and capture more dynamic, exciting images with the 5x Optical Zoom with 28mm Wide-Angle lens. New Digital IS greatly reduces blur by recognizing the main subject and applying the best camera shake correction. Easy quality that's easily affordable: that's the PowerShot A2300 digital camera! Smart AUTO automatically detects scenes by assessing various factors in both the background and the subject. Detected scenes are analyzed using 32 predefined shooting situations. The camera then makes optimal settings to ensure the best possible image capture when shooting still images. You can shoot high definition video anytime, anywhere right from the pocket-sized A2300 digital camera. With a simple push of the dedicated movie button, you'll be able to instantly record every moment in motion. 720p HD video is smooth, vivid, and beautifully lifelike, making it an ideal way to capture special memories. With the PowerShot A2300 digital camera, you can also shoot video in the Apple® iFrame format. It keeps file sizes small, making it more convenient to upload or e-mail high-quality videos. The 5x Optical Zoom (35mm equivalent: 28-140mm) in PowerShot A2300 digital camera delivers outstanding optical performance and versatility. It gives you a great range of potential images from a single location, which is perfect for sporting events and other occasions when your shooting stance is fixed, or times when moving in too close might disrupt the action you're trying to capture. The lens's 28mm wide-angle perspective puts more image in every frame for dynamic, exciting shots. The PowerShot A2300 digital camera is designed to be fun and easy to use, even for beginners. A new Help Button on the camera's exterior brings up the help menu any time you need it, right on the LCD screen. From here, you can scroll through a variety of topics that answer your questions with clear explanations, offer helpful shooting advice, and show you diagrams highlighting the position of any buttons you'll need. The Canon PowerShot A2300 digital camera uses a rechargeable Lithium-ion battery. This compact, powerful battery helps make it a lightweight and slim camera. Charge-up is quick and easy, so the PowerShot A2300 will be ready and waiting for those special moments. *The approximate number of images recordable on memory cards other than the above can be calculated by using the above figures as a reference and extrapolating accordingly. 8GB 27 min. 28 sec. 4 hr. 00 min. 48 sec. 7 hr. 34 min. 51 sec. 13 hr. 38 min. 45 sec. 7 hr. 34 min. 51 sec. 13 hr. 38 min. 45 sec. 22 hr. 44 min. 36 sec. 49 min. 18 sec. 1 hr. 28 min. 59 sec. 32GB 1 hr. 50 min. 52 sec. 16 hr. 11 min. 54 sec. 30 hr. 35 min. 50 sec. 55 hr. 04 min. 31 sec. 30 hr. 35 min. 50 sec. 55 hr. 04 min. 31 sec. 91 hr. 47 min. 32 sec. 3 hr. 19 min. 03 sec. 5 hr. 59 min. 10 sec. *1 Use of USB logomark is not allowed.